Want to experience camping without leaving the metro? Good News Coleman® in partnership with Discovery Channel, sets the first-ever Urban Survival Camp in the Philippines slated on May 19, 2012, Saturday to Sunday, at the SM Mall of Asia grass grounds near San Miguel By the Bay. This spearheading jamboree and fair is a rare moment for city folks to take a break from hectic routines and celebrate the fun of the outdoors through various talks, demonstrations, and exhibits regarding basic mountaineering, outdoor cooking, stargazing, night photography, and many more! This one has a catch though.Please note that you need to purchase a minimum of P 300.00 worth of Coleman products bought from April 9 to May 19, 2012 from any store, so you'll be given free entrances, camping rights and refreshments at the Coleman Urban Survival Camp event. This is not a paid post. I just love sharing information. Kindly forward the kindness by sharing on FB, twitter, pinterest, Digg, etc. I just take a peek and I discovered your blog. 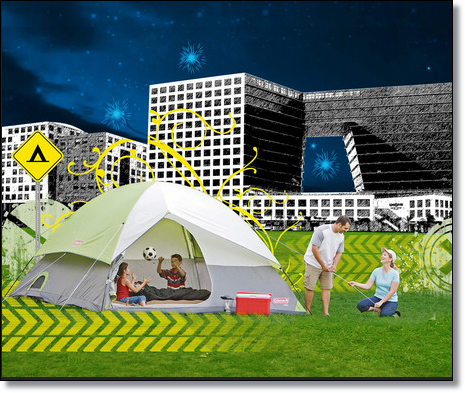 This free camping at moa sounds interesting and I like it. Thank you for sharing.